Some parents agree and some parents don't agree with the Naughty Step or Time out. Well for me as a parent of two daughters the Naughty Step has been good & bad for me. I went through a stage where the Naughty Step wouldn't work for my eldest daughter who is nearly 4, but thank god she has slowly kind of gone out of the bad habit she had of her tempers. I've even started too use the naughty step on my 18 month old (who is my youngest) i never believed to use the naughty step if they don't understand or can not talk, but i had to use it and it has worked. What Elliw did was everytime they sat on the table too have food when she thought she had finished she would throw the plate on the floor with all the food and then try do the same with Mia's which she did manage to do most of the time. So everytime she did this she went straight on the naughty step and we kept putting her back on every time she came off it! She didn't like but she hasn't thrown her plate since! YAY!! 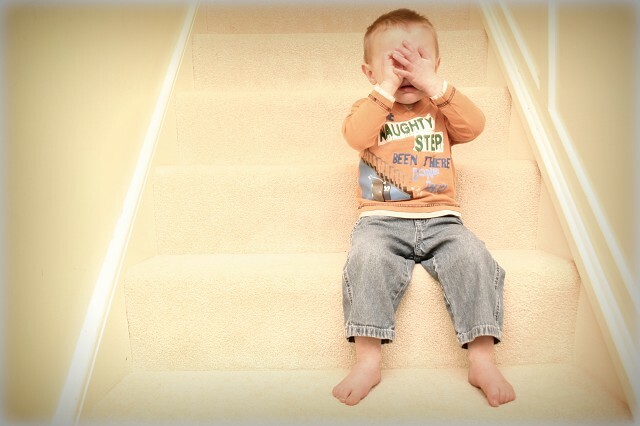 How long should a child stay on Naughty Step/Time out? You go by how old your child is. For example if your child is 4 then they stay on the naughty step for 4 minutes. If they are 9 then they are on naughty step for 9 minutes etc. 1. Every time they come off the naughty step you start the time all over again. For example - You have a 4 year old - so on naughty step for 4 minutes. - She/He decides to come off naughty step after 3 minutes.. You put them back and then start the 4 minutes all over again. 2. NEVER give in. If you do then the Naughty Step/Time out will not work. 3. Use the same spot/chair every time. 4. Don't let them near toys or anything interesting that might make them think going to naughty chair is going to be fun! How do i know when to put them on the naughty step? When they are miss behaving. Give them 3 chances. On the 3rd chance you tell them if they do it again then they go straight to the naughty step. If they ruin that chance then you take them/carry them to the naughty step, sit them down, and go down to their level and tell them in a calm voice why they are on the step, then just walk away. Is my child too young for a naughty step? I've always said if the child can not talk properly yet or understand things then no a naughty step should not be considered but going through the experience i've been through last week, my 18 month old daughter throwing her food all the time at food time, we put her on the naughty step and it worked. So i think for 12 months on wards yes you can use the naughty step. Just to make them realise what they have done is wrong. What do i do when my child's time is up on the naughty chair? After the time has finished, go up to them go to their level and explain to them once again why they were sent on the naughty step and then ask them what do they say too you, then give a cuddle and a kiss. My child keeps coming off the naughty step? Don't worry. Don't show them you're stressed. Be calm. Keep taking them back to the step without saying anything and re-start the time all over again. It will be better for you in the long term. It is very hard but worth it. It will learn them! In all honesty i think the naughty step is a life saver! I think it helps children realise what they do wrong. It is very hard to do for us parents but it is how the child learns what they did was wrong. Do you use the naughty step for you children?